Welcome to day 15 of my 24 days of Slimming World Christmas Buffet Recipes. 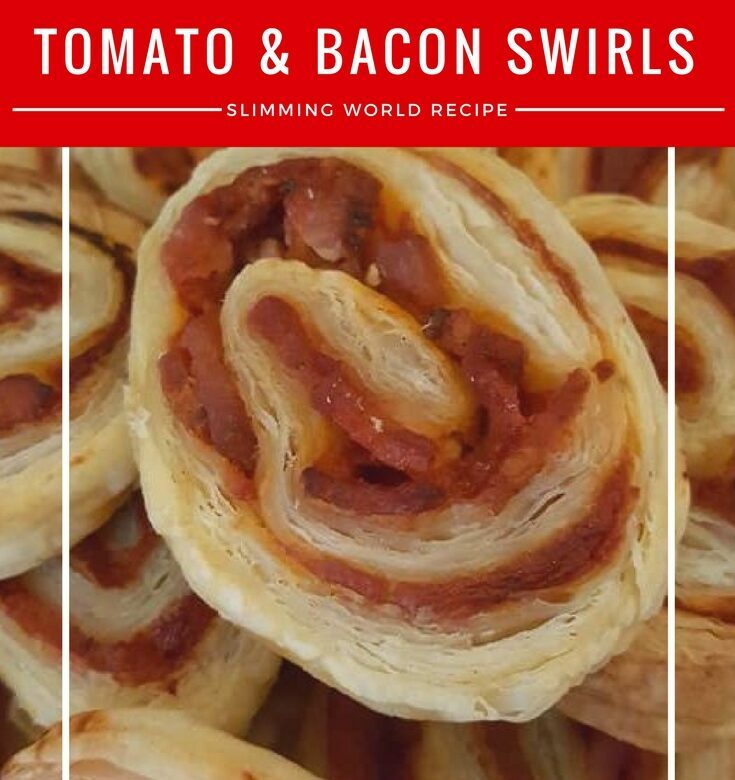 Today’s recipe is for Slimming World Tomato & Bacon Puff Pastry Swirls. These are very moreish so you have to be careful as the syns can soon add up! The syn value depends on the number of swirls you make from a packet of puff pastry. We made about 45 swirls from a 375g packet of puff pastry. Fry the bacon and onions until cooked. Unroll the pastry onto a baking tray but leave it on the paper. Using the paper that the pastry came on, start rolling the pastry from the longer side, into a sausage shape. Using a sharp knife, slice the roll into individual swirls about 1cm wide.